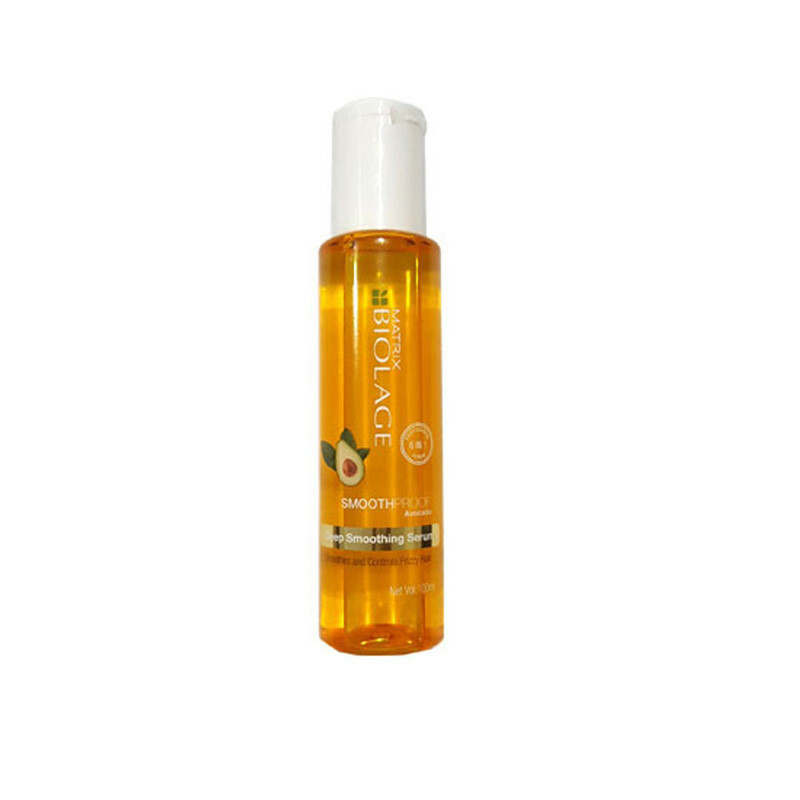 Biolage SmoothProof Serum for frizzy hair provides humidity control and anti-frizz smoothness even in 97% humidity. 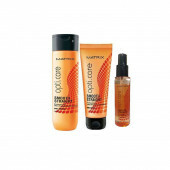 Matrix Bioloage Smooth proof Deep Soothing Serum is the perfect quick fix solution for rough, frizzy, dull and tangled hair. Inspired by natures water resistant Camellia.Created with a fusion of natural elements including Avocado, Grape-seed oils & frizz taming polymers – this hair smoothing serum tames flyaways and works wonders for hair with its light, non-sticky texture and not weighing the hair down.It keeps hair smooth and protects against heat styling tools and suitable for color-treated hair. Tames frizz and flyaways while adding shine - Keeps hair smooth and protects against heat styling tools and humidity - Paraben-free formula is also suitable for color-treated hair. The perfect quick fix solution for rough, frizzy, dull, unmanageable, and tangled hair. Created with a fusion of natural elements including Avocado, Grape-seed oils & Frizz Taming Polymers – this smoothing serum works wonders for hair with its light, non-sticky texture, that doesn’t weigh the hair down. Take a small amount of product in hands and apply evenly through damp hair. Blow dry or style as desired. 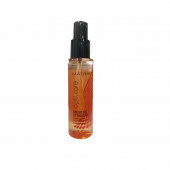 The serum can be reapplied throughout the day for added shine and frizz control. I love this stuff. Love the smell, love the feel. You don't need more than a drop, so a bottle lasts a long, long time. I use this on my hair when it's either damp or dry. 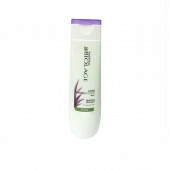 In both cases, it provides frizz control and shine without weighing my hair down. But don't use more than a drop or two at most.